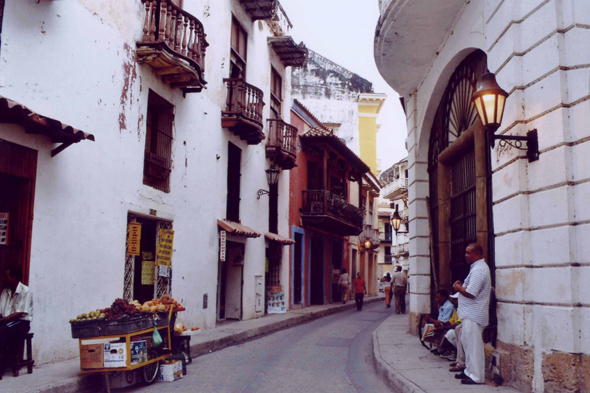 A street of Cartagena. The south district of the old city, commonly named the center, is the place of predilection of the upper middle class. More to the north, the San Diego district is occupied by the middle classes.